← Cosplayers and their Cosplay for Your Enjoyment! One of the earliest known pieces of metalwork in Britain, found just a few miles from Stonehenge, has gone on display to the public for the first time. 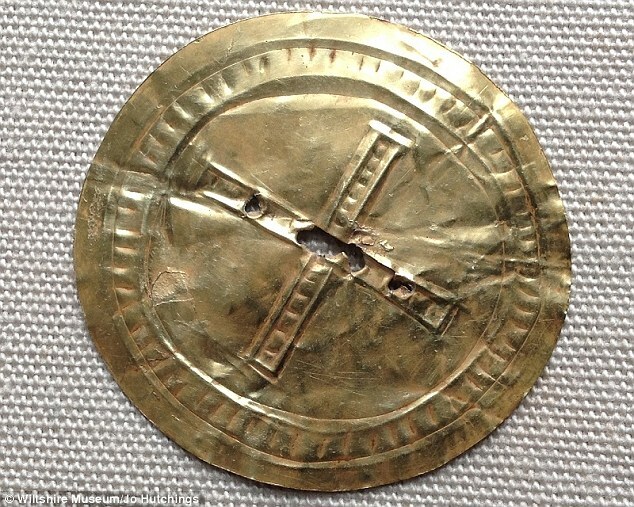 The gold sun-disc, which was forged around 4,500 years ago at around the same time the main circle of Stonehenge was erected, was discovered in the Bronze Age burial mound of a local chieftain. Thought to represent the sun, the thin sheet of embossed gold features a cross at the centre surrounded by a circle. Each is decorated with dots that glint in the sunlight. The disc, which is one of only six sun disc found in Britain, may have once formed part of a headdress or garment. 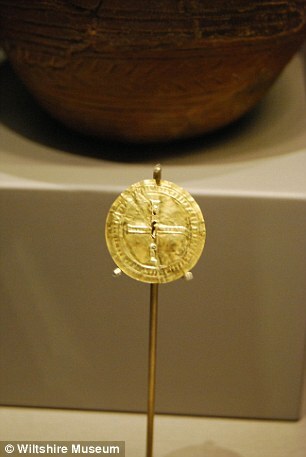 Experts believe the disc, which is around two inches (5cm) wide, may have been made with gold imported to England from Ireland, where there is evidence that gold was being mined at the time. However, new research has raised the prospect that it could be made of Cornish gold as rich deposits in the area were being exported to Ireland and elsewhere at the time. 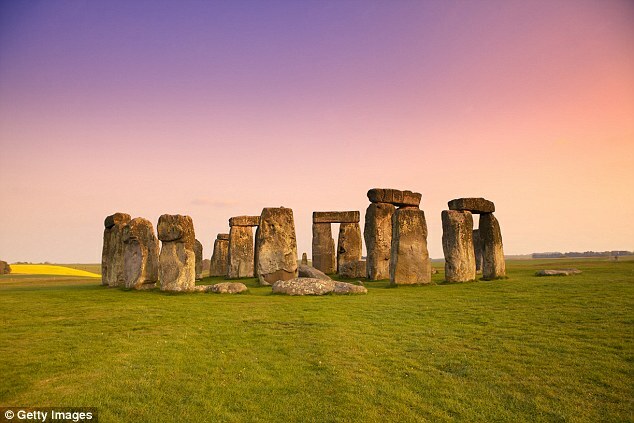 No one is exactly sure why – or how – Stonehenge was built more than 4,000 years ago. Experts have suggested it was a temple, parliament and a graveyard. Some people think the stones have healing powers, while others think they have musical properties when struck with a stone. They could have acted as a giant musical instrument to call ancient people to the monument. What is clear, is that the stones were aligned with phases of the sun. People were buried there and skeletal evidence shows that people travelled hundreds of miles to visit Stonehenge – for whatever reason. Experts think that the route was a busy one and that Stonehenge could be viewed differently from different positions. It seems that instead of being a complete barrier, the Curcus acted as a gateway to guide visitors to the stone circle. The mysterious sun-disc, which was discovered alongside the remains of a skeleton of an adult male at a burial mound at Monkton Farleigh in 1947 , is now on public display for the first time at the Wiltshire Museum in Devizes, Wiltshire to mark the summer solstice. David Dawson, director of the Wiltshire Museum, said: ‘This is an incredibly important object as it was one of the earliest pieces of metal to appear in Britain. ‘Gold is precious to us, but to people at the time they had not seen metal at all and it would have been completely new and something far out of their experience. The discovery of the sun-disc in the grave at Monkton Farleigh has helped to shed light not only on the wealth of people living at the time but also their relationship with death. Sun worship is thought to have been common in the early bronze age and the highly reflective golden metal disk would have had special significance in that culture. Stonehenge has long been associated with the sun as many of the stones appear to be aligned with phases of the sun. Thousands of people still descend on the ancient monument each year to watch the sun rise on the summer solstice. At the time when the sun-disc found at Monkton Farleigh was made, the sarsen stones at Stonehenge had just been erected. The sun-disk was found in a burial mound along with the remains of an early Bronze Age chieftain. A pottery beaker and flint arrowheads were also found in the grave. 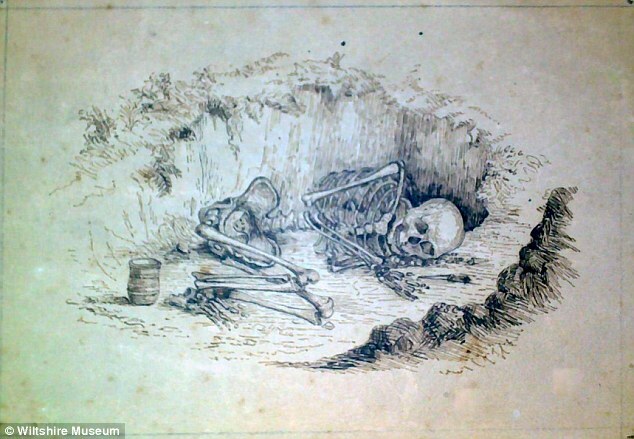 The drawing above is from a similar burial discovered from the same period. The body was placed in a fetal position to perhaps signify life after death. The disc itself has two small holes that appear to have been used to attach it to a piece of clothing or headdress. The skeleton was found buried with a pottery beaker, which may have been used to hold wine and flint arrowheads. It points to burial practices that believed in life after death or perhaps even resurrection, and burying a relative with personal and valuable items would have allowed carry them with them. Just six sun-discs have been found in Britain and appear to have been made by beating gold into thin shapes that were decorated with repoussé (hammered) motifs. It was thought that gold created in the early Bronze Age arrived in Britain from Ireland where more sun-discs have been discovered. However, a new scientific technique developed by archaeologists at the University of Southampton and University of Bristol has revealed that not all gold in Ireland came from the country. While the gold in the north and west of Ireland appears to have been local, gold from the south of the country came from Cornwall. It suggests people living around 2,500BC had a rich trade in gold. The researchers believe that the flow of gold from Cornwall to Ireland may be a sign that people in Britain attached little significance to the valuable metal. Dr Alistair Pike, an archaeologist at the University of Southampton who took part in the study, said: ‘The results of this study are a fascinating finding. ‘They show that there was no universal value of gold, at least until perhaps the first gold coins started to appear nearly two thousand years later. Mr Dawson said he hoped the new techniques could help to unravel the origins of the Monkton Farleigh disc.